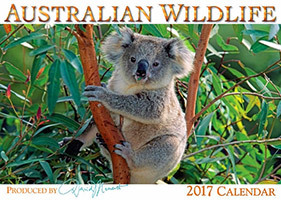 Gary Bell is the founder of Oceanwide Images Stock Photo Library and a distinguished nature and wildlife photographers, both in Australia, where he resides, and the world. 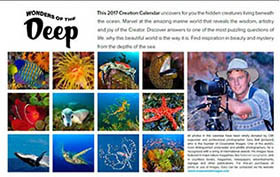 His dedication and passion for capturing moments in nature has won him a string of international awards with work featured in major nature magazines, such as National Geographic, Australian Geographic, numerous books, advertising campaigns and many other publications. 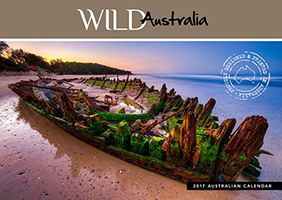 Behind this brilliant photographer is a man with a deep respect for wildlife and the environment - with a passion to explore new ecosystems and capture on camera the extraordinary beauty of the natural world. 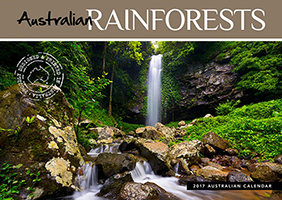 Gary has travelled throughout Australia and the Indo Pacific, enjoying the challenges of nature photography (and its inherent dangers). 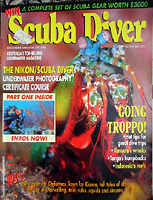 In 1974, when Gary first started taking underwater images there were few underwater photographers in Australia. 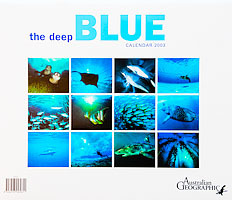 His first pictures were taken beneath Portsea pier on the Mornington Peninsula, Australia. 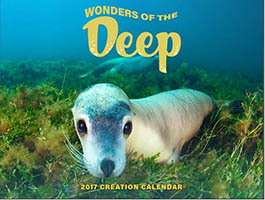 Gary felt compelled to share these underwater discoveries with his family and friends, who were fascinated with his photography. He was soon getting requests for the purchase of prints. 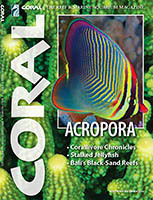 Since then Gary has travelled the world working with David Doubilet, assisting Doubilet on more than twenty National Geographic magazine field assignments. 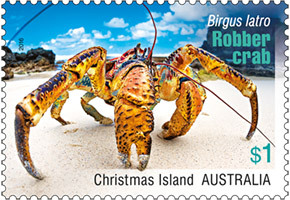 The assignments took him over the oceans of the world to the Cayman Islands, New Zealand, Aldabra Atoll, Papua New Guinea, Indonesia, Malaysia, South Africa and the tropical and temperate seas of Australia. 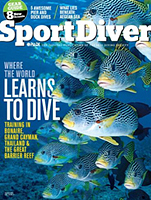 Gary was also individually commissioned by the National Geographic Society (magazine and TV division) to photograph the Great White Sharks in South Australia and South Africa and life on the Great Barrier Reef. 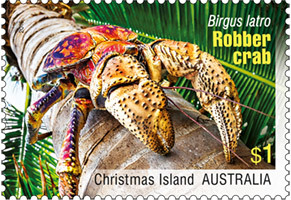 He has worked with the CSIRO Division of Fisheries to record newly developed prawn netting techniques in the Gulf of Carpentaria and the marine pest species of southern Australia. 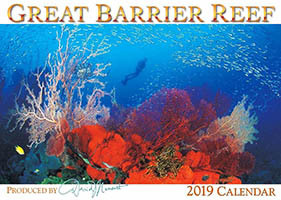 Gary's published coffee table books include: The Great Barrier Reef - by Murdoch Books/BBC earth and The Great Barrier Reef - published by Steve Parish Publishing. 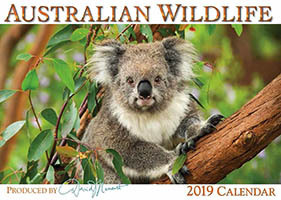 Gary continues to share his images with the world through his company Oceanwide Images in conjunction with a comprehensive collection of stunning wildlife images hand-picked from some of the worlds best natural history photographers. 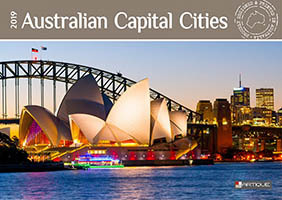 Images are licensed to publishers and commercial entities throughout the world. 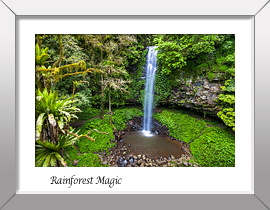 Fine Art Prints are also available to the general public from any image listed on the website. 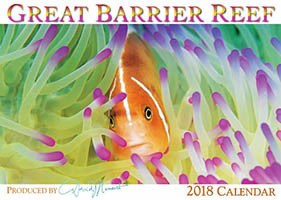 Just as in 1974 when Gary shared his first underwater pictures with his family and friends he continues to bring beautiful nature and wildlife images to the world. 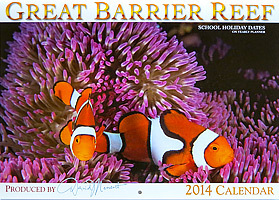 Below are just a few recent and past projects that Gary Bell's images have been published in. 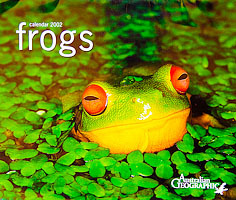 Available in all quality Newsagencies and book stores. 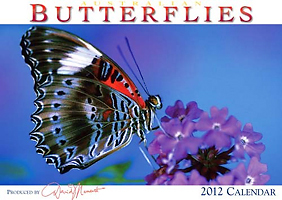 Inside Photography: Numerous Photos by Gary Bell and Oceanwide Images photographers. 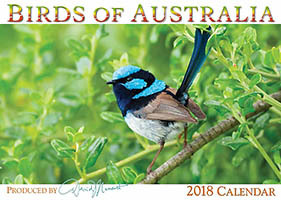 Spectacular images of Australia's Birds to enjoy throughout the 2018 year. 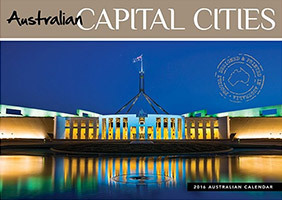 Can be purchased at all good newsagents and book shops. Fantastic images to celebrate Australia's Great Barrier Reef. 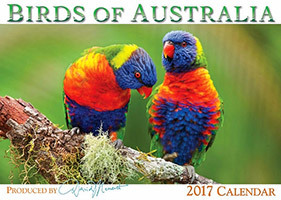 A variety of high quality photos of Australia's diverse wildlife within this great Wall Calendar. 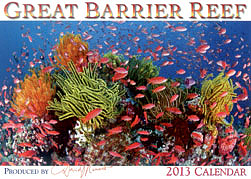 Hiqh Quality images of Australia's Great Barrier Reef. 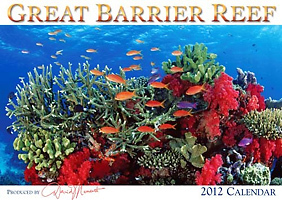 Fantastic images of Australia's Great Barrier Reef. 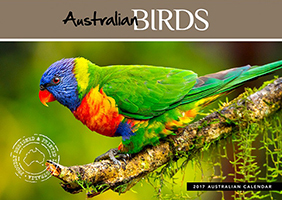 Featuring many of Australia's colourful and amazing birds. 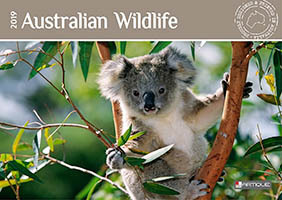 Featuring many images of Australia's Wildlife. 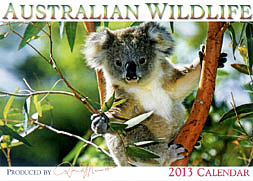 Available in all quality Newsagencies and book stores. 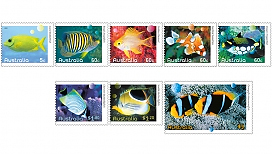 Australia's spectacular tropical and temperate undersea life. 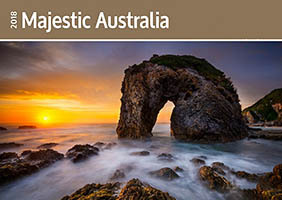 Australia's amazing Wild Places. Available in all quality Newsagencies and book stores. 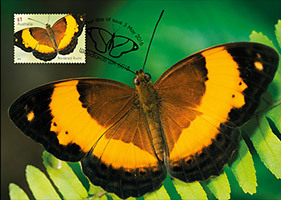 'Beautiful Butterflies' Maxicard to accompany stamp issue. 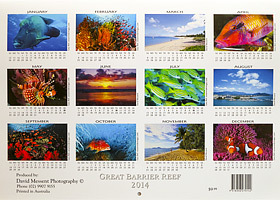 Creation Calendar - wall calendar. 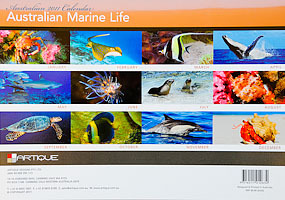 Hiqh Quality images of Marine Life. 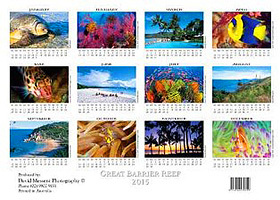 Can be purchased from website: creation.com. 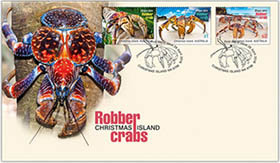 'Robber Crabs Christmas Island' Stamp issue pictorial envelope with all stamps. 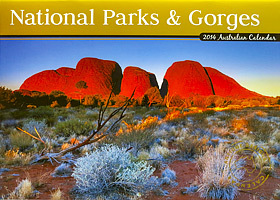 Australia's amazing National Parks and Gorges. 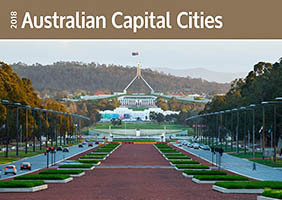 Australia's amazing Capital Cities. 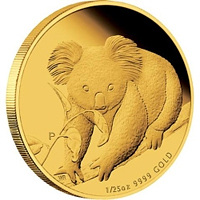 Available in all quality Newsagencies and book stores. 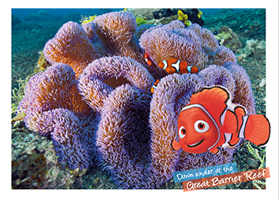 This prepaid postcard features Nemo, from the Disney movie Finding Nemo on the Great Barrier Reef. 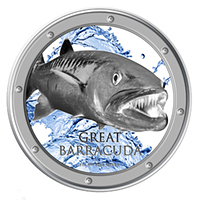 Great Barracuda Silver coin. Watch out he's coming to get you through the porthole! 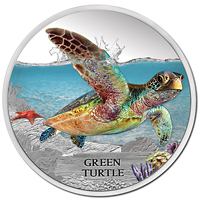 The predatory creature on the face of this Ocean Predators Great Barracuda Silver Coin speeds through the water, a powerful solitary hunter. 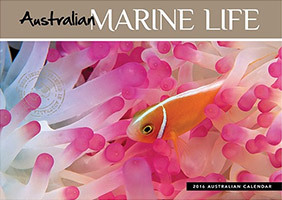 The reef and marine aquarium Magazine. 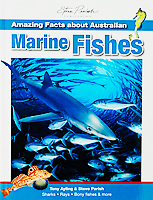 A guide for commercial fishers in Southern Australia. 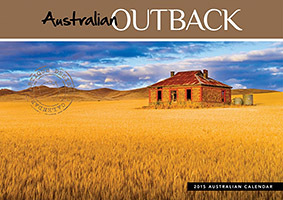 Australia's outback full of colour. 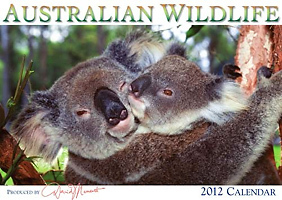 Australia has amazing places to visit and wildlife to see. 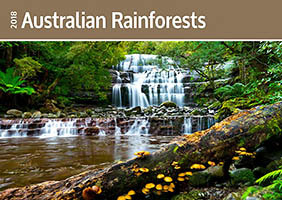 Combine your love of Australia's natural beauty and wilderness with your commitment to the environment. 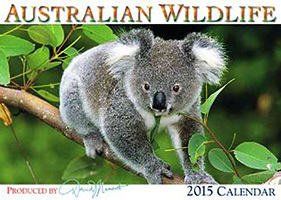 Each diary purchase supports ACF's work. 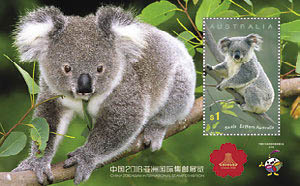 Hiqh Quality print and images. 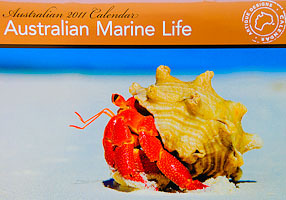 Featuring fabulous Marine Life images. 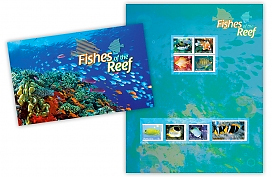 60c stamp and stamp sheet set to celebrate Australia's Great Barrier Reef and Ningaloo Reef. 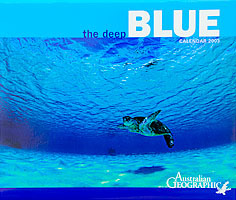 Inside Images: All Underwater images - Gary Bell. 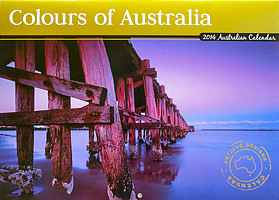 Spectacular images of Colourful Australia. 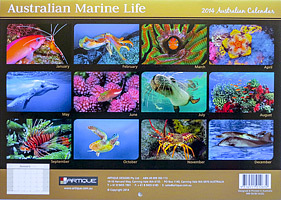 Australia's marine life is rich in variety and this calendar highlights some of Australia's spectacular tropical and temperate undersea life. 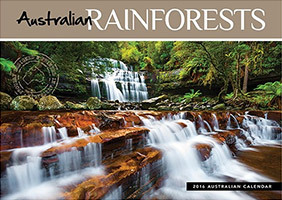 The National Parks Association Journal is published every three months and mailed to their loyal supporters. 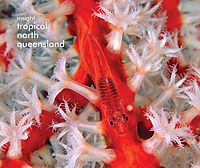 It contains in-depth articles on hot conservation topics, NPA news and updates regarding the progress of their campaigns and programs 'Oceans' Book by Callum Roberts - reprinted in France with very descriptive new cover. 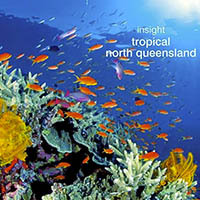 Inside Photography: Includes numerous Gary Bell and OceanwideImages photography. 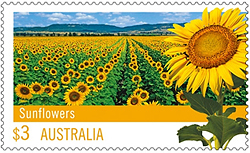 The bright yellow sunflower is native to North America and grown mainly in Queensland and New South Wales in Australia. Sunflower seed is a source of oil used for cooking, salads, paints and industrial lubricants. Non-oil varieties of sunfl ower are used as birdseed or roasted and eaten as a snack. 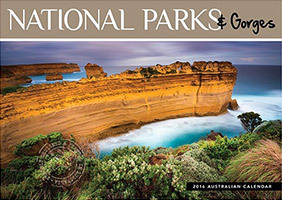 The National Parks Association Journal is published every three months and mailed to their loyal supporters. 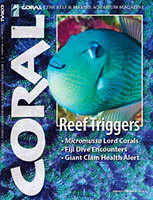 It contains in-depth articles on hot conservation topics, NPA news and updates regarding the progress of their campaigns and programs. 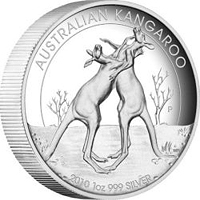 Springbok - Allied Products, Inc. 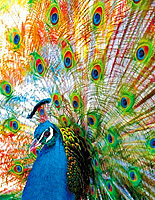 Finished Puzzle Size: 18" x 23.5"
Displaying a tail of many colors, this king peacock is a glorious show of color and layered detail. Tcolors are bright and the layers of detail will keep you happily engaged for hours at a time. 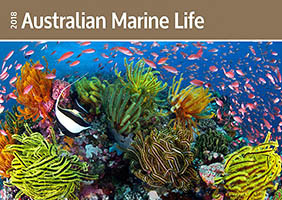 Australia's Australia's spectacular tropical and temperate undersea life. 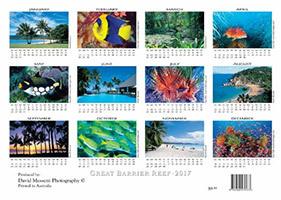 OWI Images: Great Barrier Reef Fish and Coral Reef Imges. 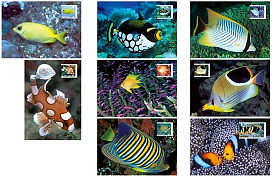 OWI Images: Sweetlips, Clown Triggerfish, Angelfish, juvenile Sweetlips and Damsel. 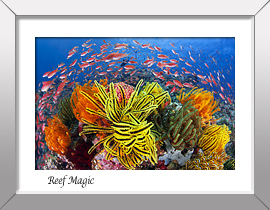 OWI Images: Clownfish, Anemonefish, Nudibranch, Sweetlips, Bannerfish, Stingaree and Scorpionfish. 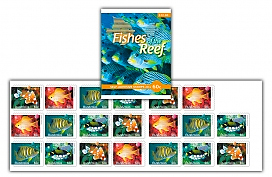 This booklet introduces these special values and explains why marine sanctuaries are the best waysafeguard our oceans. 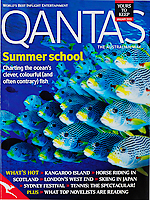 Story Feature: Summer School, Charting the ocean's clever colourful and often contrary fish. 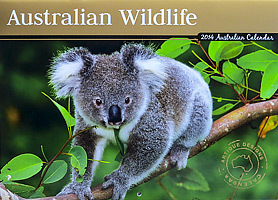 Sea Mammals & where to watch them - wild Australia Guide. 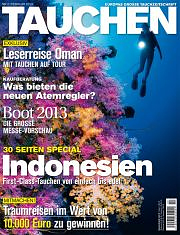 Inside Photography: Includes various Oceanwide Images photographers. 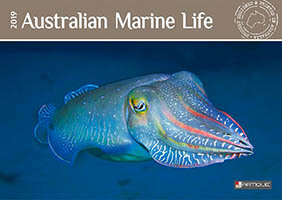 This practical Guide "takes the reader underwater" - with colour photos and authoritative text - to identify each species and reveal the complex societies of these beautiful mammals. 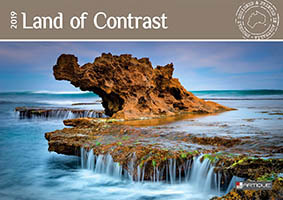 Inside Photography: Featuring Gary Bell images. 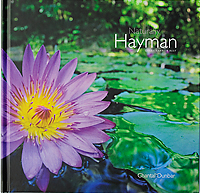 This visually rich publication highlights the natural qualities of Hayman Island. Available exclusively at Hayman Island Resort. 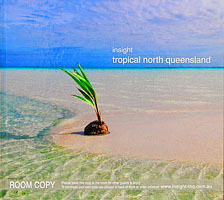 Inside Photography: Includes numerous Gary Bell images. 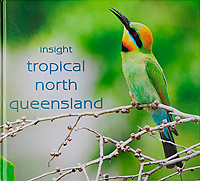 This definitive hard bound coffee table reference book is on display at major Hotel and Accommodation properties throughout North Queensland. 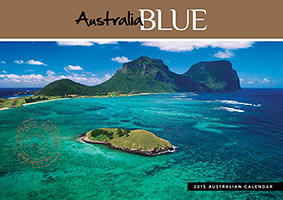 Cover: Gary Bell Inside Photography: Includes numerous Gary Bell images. 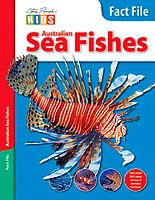 Within these pages you will find colourful corals, killer sea stars, cunning cephalopods and a host of wonderful invertebrates. 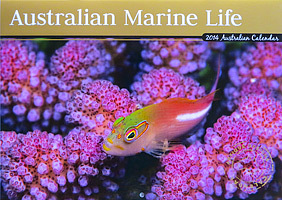 This book is packed full of fascinating information, and you will be amazed at how much you will learn about Australia's marine fishes by diving into the pages that follow. 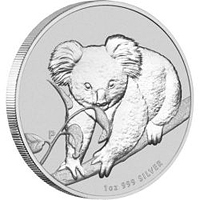 Proof Quality 99.9% Pure Silver - extremely limited Mintage in timber presentation case and certificate of authenticity. 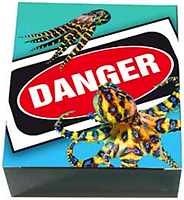 Deadly and Dangerous Series. 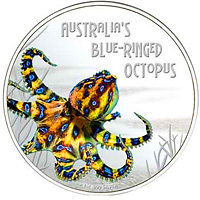 Like the previous Red Backed Spider and Great White Shark releases in this series, no more than 5,000 Blue Ringed Octopus coins will be released. 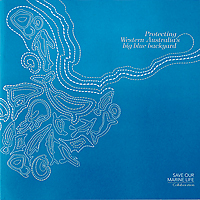 Save our Marine Life Campaign - to help protect Australia's South west marine environment. 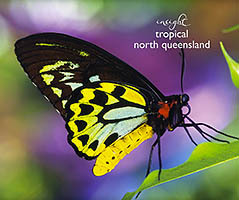 Inside Photography: Gary Bell and other Oceanwide Images photographers.Campaign Logo: Gary Bell. 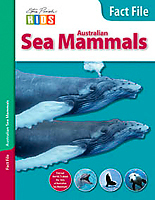 This sea mammal reference book illustrates and describes 33 species of whales and dolphins that inhabit the waters of Western Australian. 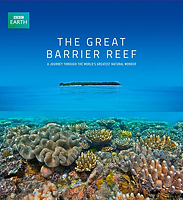 This spectacular book tells the story of the planet’s largest World Heritage Area, told through the lens and words of two talented professionals, Gary Bell, the photographer, and Dr Tony Ayling, the text writer. 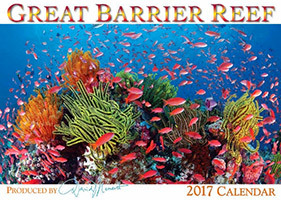 Attracting more than two million visitors every year, the Great Barrier Reef is one of the world's greatest natural wonders. 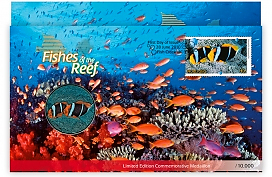 This book has been widely accepted as one of the best Great Barrier Reef books ever published. 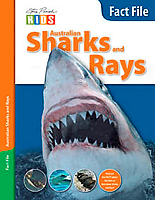 This Wild Australia Guide offers an excellent insight into the lives of shark and ray species living in the water surrounding Australia - how to identify them, how they behave, what they eat, where they live and how they breed. 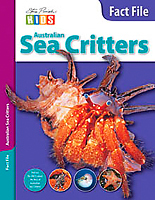 This outstanding children’s reference book teams with full-colour photography and informative, easy-to-read text that introduces children, and adults, to Australia’s fascinating sea life. 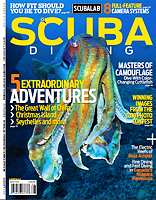 Inside Photography: Featuring various Oceanwide Images photographers. 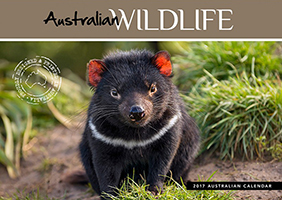 Discover the truth about these fascinating creatures, from the infamous great white shark, to the gentle manta ray in the Australian Sharks and Rays Fact File. 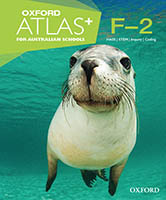 Australia plays an important part in protecting sea mammals. 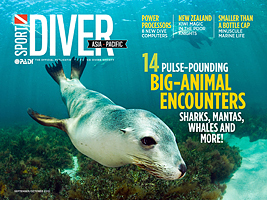 From majestic whales to playful dolphins, sea mammals are truly intriguing animals. 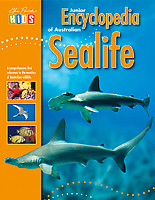 Learn all about these fascinating creatures with the Australian Sea Mammals Fact File. 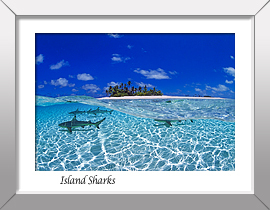 nside Photography: Includes various Oceanwide Images photographers. 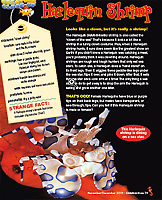 The Ocean is filled with amazing and mind-boggling critters that have developed very bizarre ways of life. 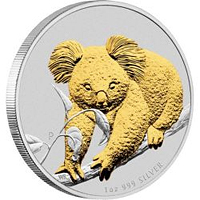 Some don't even look like animals! 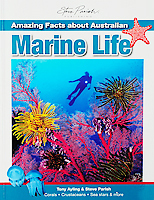 Learn all about these fascinating creatures, from kaleidoscopic corals to stinging sea jellies, with the Australian Sea Critters Fact File. 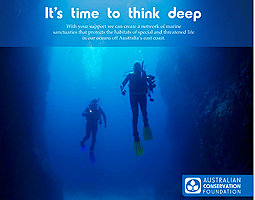 With thousands of different types of fish living in Australian marine waters, there really is a whole new world to discover under the sea. 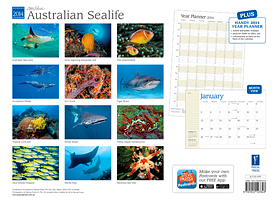 Learn all about these fascinating creatures, from awe-inspiring great barracudas to cute seahorses, with the Australian Sea Fishes Fact File. 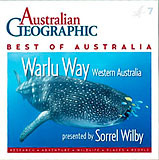 Australian Geographic - Best of Australia DVD - presented by Sorrel Wilby. 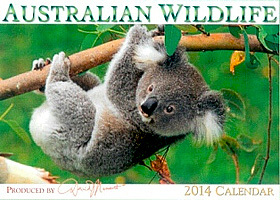 Favourite Aussie animals embark on many different page-turning adventures. 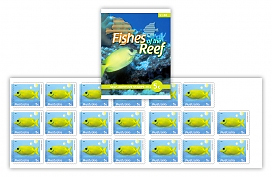 Based on the 52 virtues, including caring, honesty, forgiveness and unity, these story books also feature type set in Beginners Alphabet and are specifically targeted to beginning and emergent readers. 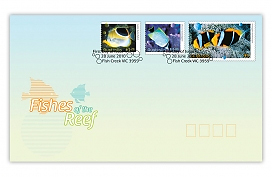 This image on the $1 uncirculated coin, shows the Long-fin Bannerfish. 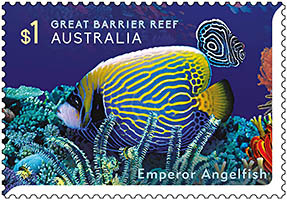 The bannerfish is usually living along reef fronts and is now available for you to admire close up in your collections. 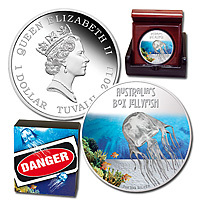 Another of the RAM coins in the Ocean Series is the Biscuit Star that may well be the most unusual well-known creature around and they are certainly a hit with the younger crowd. 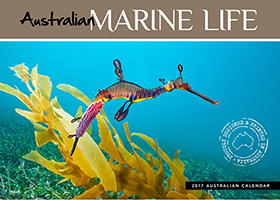 This oddly shaped but colourful creature inhabits shallow water sea grasses and sponge gardens in Australia’s south eastern oceans. 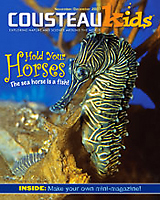 The Big-belly Seahorse, as its name implies, has a large pot belly and is unique among species as the male becomes pregnant. 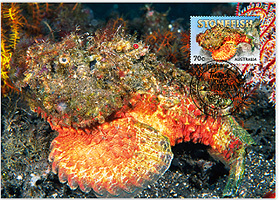 This exclusive Red-back miniature sheet, set in a semi-imperforate configuration, is only available in a special edition pack. 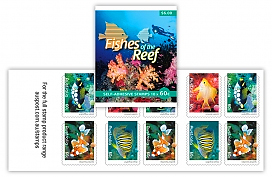 The pack gives colectors the opportunity to obtain the original six stamps in their concept layout and configuration. 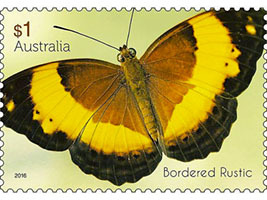 The Red-back was originally commissioned to be part of the Dangerous Australians stamp issue, but was thought to be too realistic at stamp size. 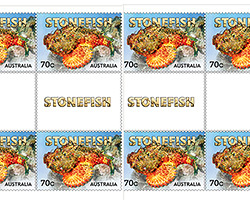 It was decided that it was …NEVER TO BE RELEASED for general postage! 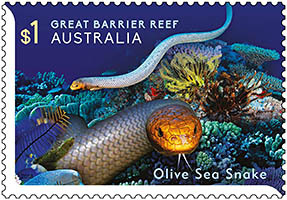 The Red-back was subsequently replaced by the Yellow-bellied Sea Snake. 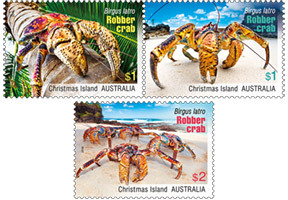 Australia Post stamp issues for Australia's three external territories, Cocos (Keeling) Islands, Christmas Island and Australian Antarctic Territory. 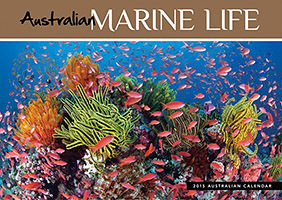 Packed with spectacular Australiana Marine and oceana images. 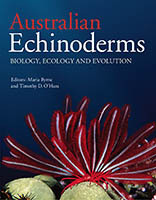 Research & Text: Dr Tony Ayling.